The election results are out and the BJP has lost Rajasthan, Chhattisgarh and Madhya Pradesh to the Congress, while the grand old party has lost Mizoram to the Mizo National Front (MNF). The Telangana Rashtra Samithi (TRS) has made a clean sweep in Telangana. This is a far cry from the ‘Congress mukt-Bharat’ that Prime Minister Narendra Modi had grandiosely declared in the run-up to the 2014 national elections, but what is interesting to note is that more than any exit poll or talking head punditry predictions on prime-time television channels, portents of the BJP’s decline could be gauged from its attrition rate as far back as the beginning of this year. Whenever a government comes to power, an ecosystem is created as with any enterprise. Changes take place from the top right down to the bottom. The reshufflings of key bureaucrats, honorary chairpersons and committees of autonomous institutions, vendors and suppliers depending on who is favoured or not, and the insertion of one’s ‘own people’ in powerful or influential nodal positions in PSU’s and institutions, all happen in the first two months. Those first few months are heady and upbeat, practically a party atmosphere. Loyalties are intense and worn prominently on one’s sleeves. If some fat cat industrialist who helped with campaign funds gets SEZ lands at throwaway prices at one level, a railway food contractor or supplier bribes his way into another, now that his contact is in a position to bestow favours on him. Unfortunately though, very rarely have any of these political appointments in India, got anything to do with quality or competence. 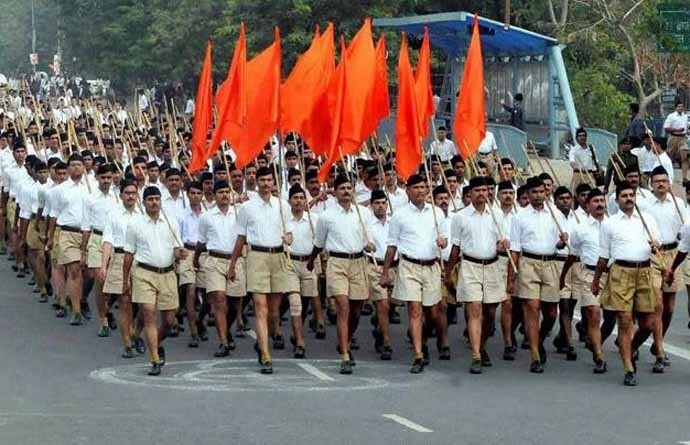 For example, the I&B ministry under the new BJP government changed the committees and chairs of FTII, NFDC, CFSI, the Censor Board and the IFFI (International Film Federation of India) and gradually started reportedly inserting RSS members into every public institution in an apparent bid to change the very DNA of secular India which appears an anathema to them. But disengaged or disinvested people leave. Those who feel they are being ignored or not receiving the sops they had come to expect also leave. Many claim to leave because they claim to be disillusioned and their idealism thwarted. But it is also true that many leave because they can read the writing on the wall and do not want to be on a ship that is going down though they would never admit to that. Moreover, when one is cornered in a situation where one is liable to be held accountable for the incompetence of those in power, in short, made the fall guy, it is prudent to leave with whatever shreds of reputation one has intact. The latest to resign from the Modi dispensation, closely around the Assembly election debacles, has been economist and newspaper columnist Surjit Bhalla. He said that he had quit as a part-time member of PM Narendra Modi’s Economic Advisory Council (PMEAC). Mr Bhalla’s resignation came immediately after the sudden resignation of RBI governor Urjit Patel (the subject of many jokes, memes and tweets on social media post-demonetisation). Before resigning, Patel had opposed the Modi government on handing over the RBI’s contingency reserves as well as giving more operational powers to the central bank’s board. Patel will be remembered as fellow traveller and excuser to the disastrous demonetisation exercise that destroyed the livelihood of millions. Even the Bharatiya Mazdoor Sangh (the labour wing of the Rashtriya Swayamsevak Sangh) admitted: "As many as 250,000 units in the unorganised sector were closed and the real estate sector was badly affected, with a large number of workers losing their jobs." In August 2017, free market economist Arvind Panagariya, who was handpicked by Narendra Modi as vice chairman of the NITI Aayog, resigned. Panagariya had been one of the most ardent supporters of Modi's 'Gujarat model of growth'. Panagariya was reportedly unhappy with the pace of reforms in the first two years of the government and is said to have written to Narendra Modi on the hardships the public had to face with demonetisation. The stated reason for the resignation was that his "leave from Columbia University was ending”. Chief Economic Advisor (CEA) Arvind Subramanian resigned from the finance ministry in June because of "pressing family commitments", revealed Finance Minister Arun Jaitely. A few months after quitting the job, Subramanian came out with the book, Of Counsel: The Challenges of the Modi-Jaitley Economy, in which he described the demonetisation as a “draconian move”. "Demonetisation was a massive, draconian, monetary shock: In one fell swoop, 86 per cent of the currency in circulation was withdrawn," Subramanian has said, adding that the new gross domestic product (GDP) back-series data, released by the Central Statistics Office and NITI Aayog, hurt the credibility of official data. He has also questioned the GST structure and said the country's economy is in for a slowdown. But the first shock came when Raghuram Rajan left RBI governorship in June 2016, saying he wanted to go back to academia. 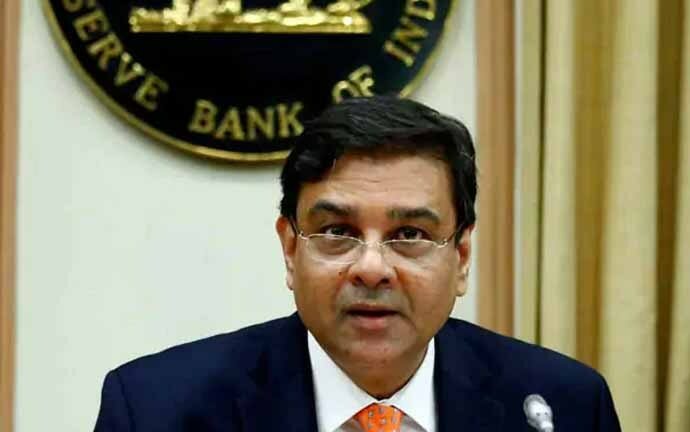 Rajan has recently described the resignation of his successor Urjit Patel as the "ultimate weapon" to show the "dissent" against the government. On October 19, senior advocate Maninder Singh resigned as the Additional Solicitor General (ASG) after serving as a law officer for over four years. His letter does not offer any reason for his resignation. “I wish to get relieved of this responsibility of the office of the Additional Solicitor General of India. I am, therefore, submitting my resignation,” he wrote. The spate of resignations over the last year or so among BJP politicians has also been significant. Chandan Mitra, once close to LK Advani, and whose stock within the party plunged under Modi and BJP president Amit Shah, and who was left with little organisational responsibility, must have been one of the first to have smelt trouble. He crossed over to the Trinamool Congress in July 2018. On September 6, 2018, upper caste groups in Madhya Pradesh called for a Bharat Bandh. Laxman Tiwari, a former legislator and a prominent upper caste face of the BJP in Vindhya region, where caste has played a deciding role in electoral politics, called it quits and said he was leaving because of the party’s apparently excessive Dalit-appeasing policies. In Rajasthan, BJP members Usha Punia and Pratibha Singh resigned from the BJP on October 10, claiming party workers were being neglected. Earlier, senior BJP leaders Ghanshyam Tiwari and Manvendra Singh had resigned from the party. Madhya Pradesh Social Welfare Board chief Padma Shukla, on September 24, resigned from the primary membership of the Bharatiya Janata Party (BJP) on the eve of the Mahakumbh celebrations attended by Modi and Amit Shah. Twenty-four other BJP workers also tendered in their resignations from the primary membership. Ms Shukla, who was a BJP member since 1980, and also held a state cabinet rank, met Madhya Pradesh Congress chief Kamal Nath and joined the Congress. In a letter to BJP state president Rakesh Singh, Shukla expressed her disillusionment with the party, saying, "I have been a primary member of the party since 1980 and have discharged my duties accordingly. I am upset because of the negligence and exploitation of the party workers in Vijayraghavgarh constituency post 2014 bypolls. Thus, I am resigning from the primary membership of the party." On November 17, Vikarabad district BJP president Karanam Prahlad Rao resigned from his party position saying that he would not leave the party even though he was not given a ticket for coming election. He spoke to the media at party office in Kulkacharla on Friday, saying that he was shocked to know that he was denied a ticket for the Parigi Assembly. He said that his candidature was turned down because he was “not rich”, though he dedicated 40 years to the party. In November, Maharashtra BJP MLA from Dhule Anil Gote alleged that criminals were being inducted into the party and even announced his resignation from the BJP, which he retracted later. 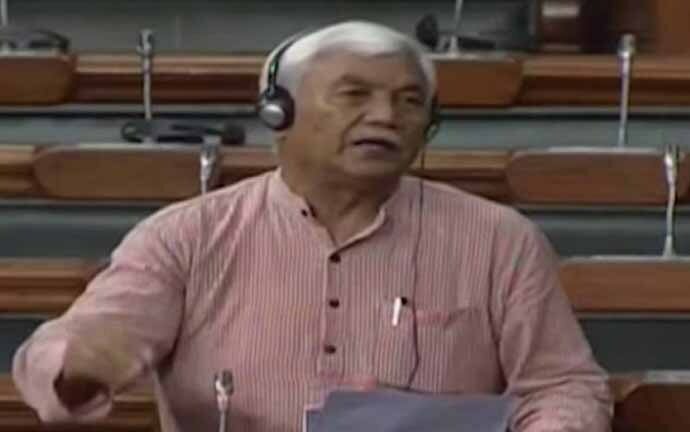 Lok Sabha MP from Ladakh, Thupstan Chhewang, has resigned from the BJP's primary membership and reportedly said false promises and unwise decisions were the reason behind his decision. His position was increasingly becoming morally and politically untenable, with the party and its central leaders exhibiting little concern for implementing its last Lok Sabha election promise of granting Ladakh Union Territory status. Ahead of the November 28 Assembly polls in Madhya Pradesh, the provocative ‘Ali Vs Bajrangbali’ speech by Uttar Pradesh chief minister Yogi Adityanath caused 20 Muslim leaders and workers to resign from their posts and primary membership of the party in Indore, long considered a RSS-BJP stronghold. 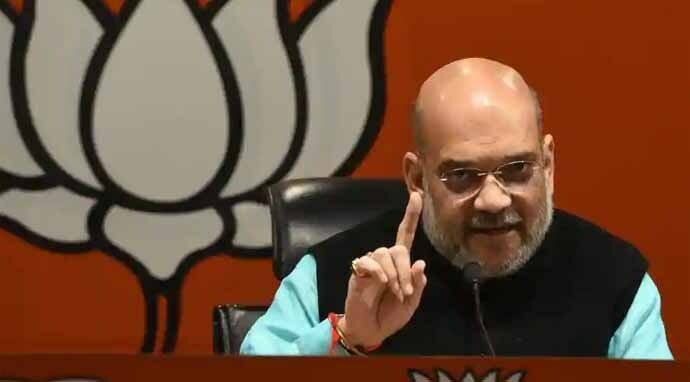 And in Rajasthan, which the BJP has lost, the party’s minority cell had written to party president Amit Shah, expressing dismay that there was no minority representation in the first list of 131 candidates. It requested Shah not to replicate the Gujarat and Uttar Pradesh model in Rajasthan — denying tickets to Muslims had reportedly polarised the elections, helping the party win. “Rajasthan is not Uttar Pradesh or Gujarat. Here, Hindus and Muslims live together, do business with each other and there has been no major communal strife in the past. Even chief minister Vasundhara Raje has a positive image within in the community as she appointed 5-6 Muslim leaders to the rank of state ministers… our cell worked to bring the community close to the saffron party which they never took seriously and opted for Congress,” said Sadiq Khan, vice-president of the BJP minority cell. Dalit leader, activist and MP from Bahraich, Savitribai Phule, one of the 68 BJP Lok Sabha members from Uttar Pradesh, has also resigned. Irked by the recent Bulandshahr violence, she announced her resignation, saying the saffron party was “trying to create divisions in society”. Phule charged the BJP with implementing the laws and codes of Manusmriti. She described the BJP as an “anti-Dalit, anti-OBC and anti-Muslim” organisation. Rashtriya Lok Samata Party (RLSP) chief Upendra Kushwaha, who resigned from the Union council of ministers and severed ties with the NDA, congratulated Congress president Rahul Gandhi, under whose leadership the party has performed impressively in the three states. Does the BJP not realise the bitter fruit of divisive politics? Forty-seven percent of Indians are unwilling to give the BJP government a second chance. 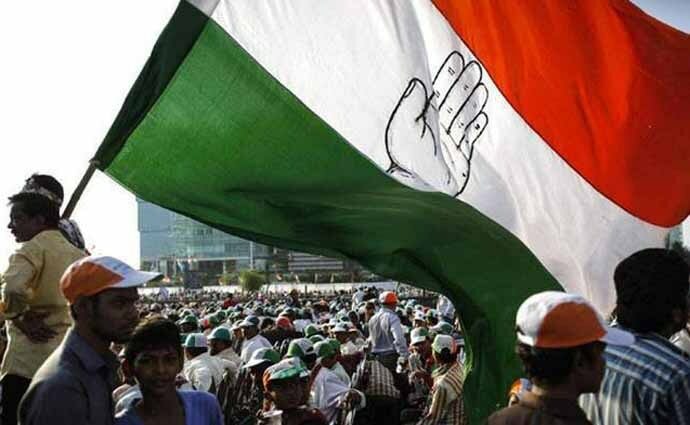 The Lokniti-CSDS-ABP News The Mood of the Nation survey showed the Congress taking a lead in Madhya Pradesh and Rajasthan, while spelling bad news for the ruling BJP, with the National Democratic Alliance’s popularity taking a hit in several states. The survey was proved right on December 11.